Reactions: A new species discovered? Photo courtesy of BBC News. Researchers have found jaw bones they believe to be part of an undiscovered species of ancient human called Australopithecus deyiremeda. Paleontologists discovered a set of bones from an ancient human in the Afar region of Ethiopia. 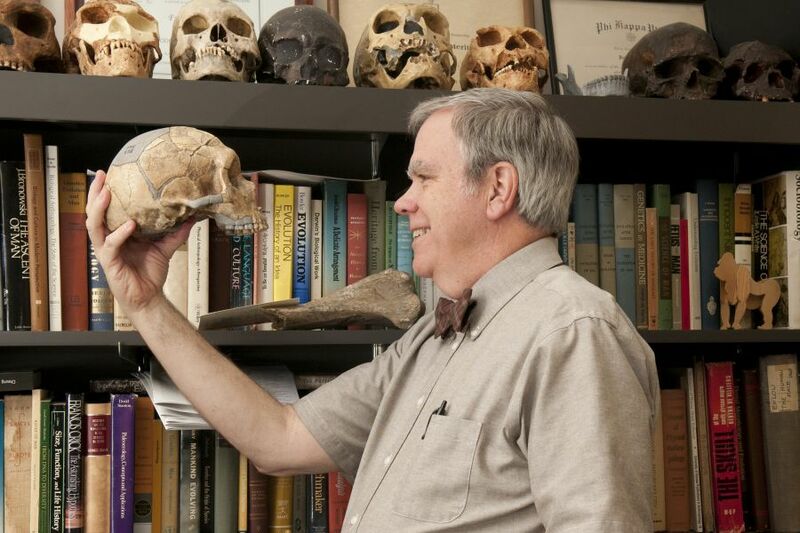 Illinois State’s Professor of Anthropology Fred H. Smith weighs in on the researchers’ declaration that they have discovered a new species of human. They are calling this new species Australopithecus deyiremeda. And I think it is fine to take that as a working hypothesis, but we won’t know for sure until we have more information. Right now all we have is a lower jaw and a few other pieces. It’s fairly common for paleontologists to declare a new species when they find fossil material. It’s hard for them to hold back and take a wait-and-see approach. Honestly, it doesn’t get you the headlines. It doesn’t get you the attention. And those are important in order to secure funding to keep expensive fieldwork going. For Australopithecus deyiremeda, I think they make a good case, but I think time and additional discoveries will tell if this is a separate species, or just a variation of the species we already know. If you look at the fossil record from about 3 to 4 million years ago, we have these large samples of fossils known as Australopithecus afarensis. You might know them from the fossil of Lucy, but there are big samples with a lot of bones. Illinois State University Professor of Anthropology Fred H. Smith and an old friend. Beginning at about 2.8 million years ago in South Africa, (not in east Africa where Lucy was discovered), there is another group known as Australopithecus africanus. Again, we have large samples of these. So we know them very, very well. And there are other fossil groups and variations, up to the Homo group about 1.2 million years ago. Yet in the period 2.5 million to 3.5 million years, we don’t have big samples of anything other than Australopithecus afarensis. We just nibble at the ends of those ranges. The new material from Afar fits into this time frame. So if something is not Afarensis, and it doesn’t appear to be Africanus, it’s really unclear how these other humans are related to Afarensis or later forms. In the case for Australopithecus deyiremeda, the fossils found are interesting, but the problem is there are only a couple of them. In the Ethiopia site, there are lots of teeth and small fragments from this era, but nothing that has a definite shape that can give us clues. It’s not enough to know what’s going on. What often happens in historical science like paleontology is that you find a couple of specimens that look new or are from a new period, and you don’t know what to do with them. It’s only when you find more and more, you can complete the picture. So you go through these cycles of times when not so much new is being discovered, and the status quo is strengthening and developing, and then—boom—you get all this new stuff. It may or may not partially undermine what has been done before, but it does show you that the picture is bigger and more complicated than you thought it was. As for Australopithecus deyiremeda, we don’t have enough to fill out that picture with certainty. However, other discoveries that will help make better sense of this new material are almost certain to be discovered in the coming years. We’re seeing a very exciting time in the unraveling of our deep biological history.